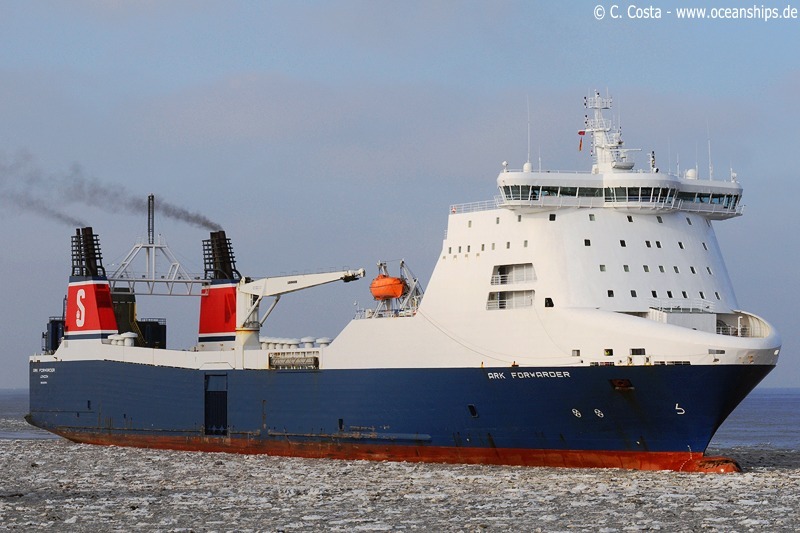 Hong Kong Bridge is passing Stadersand on March 2nd, 2010. 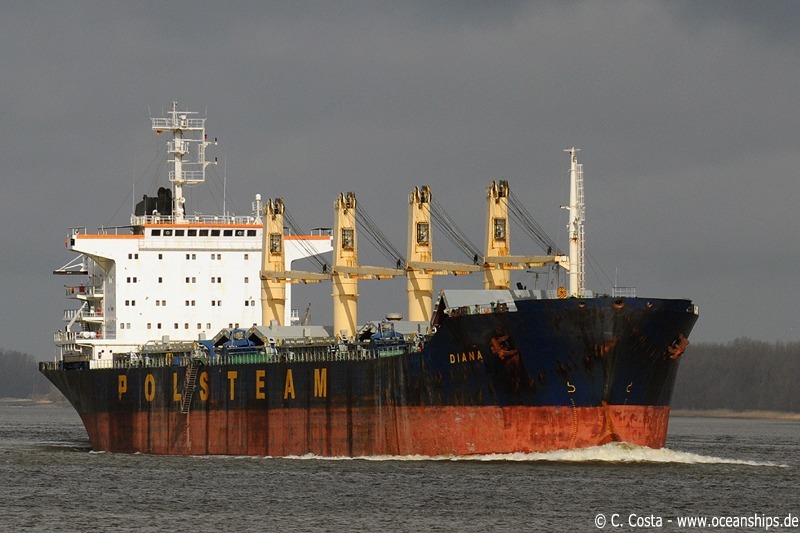 Bulk carrier Diana is passing Stadersand on March 2nd, 2010. 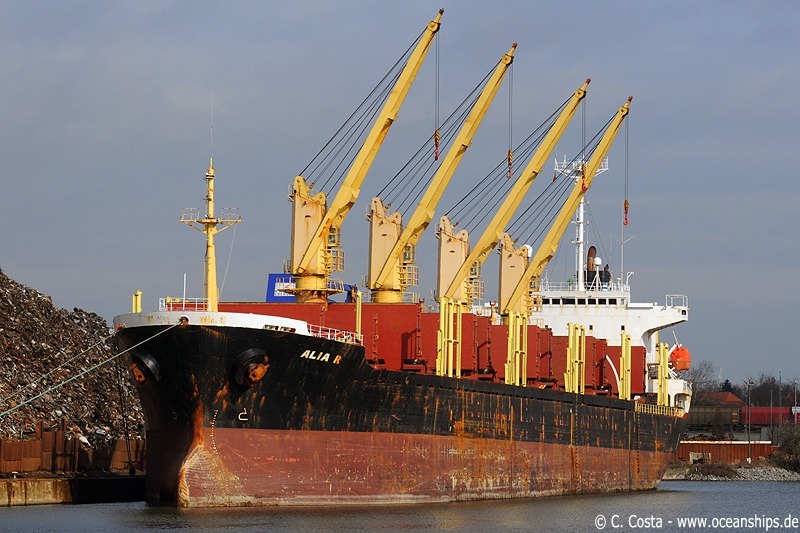 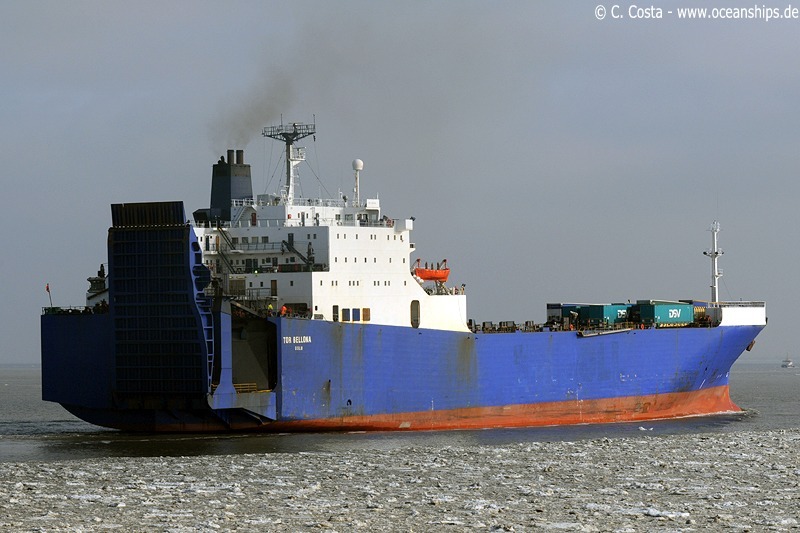 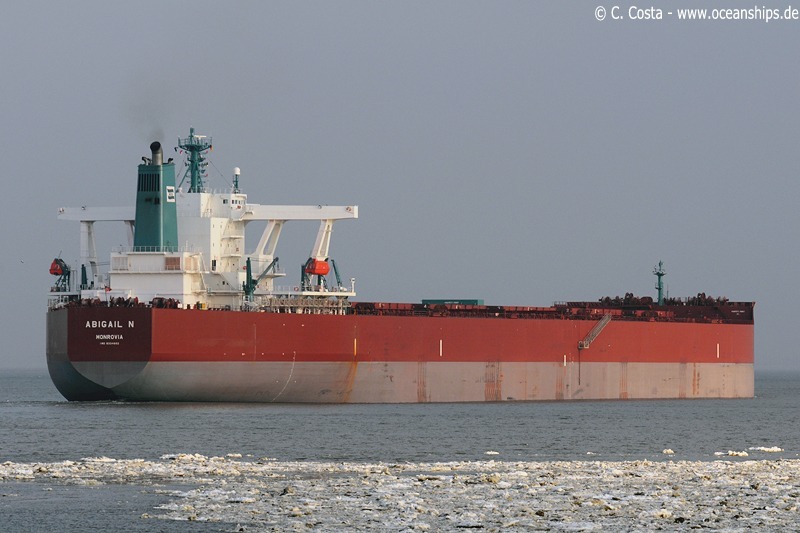 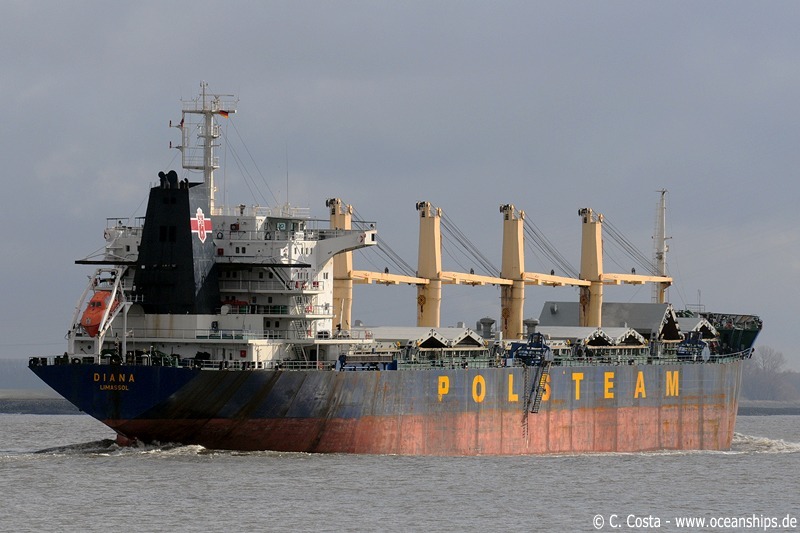 Bulk carrier Alia R is loading scrap metal at Bremen Industriehäfen on February 26th, 2010. 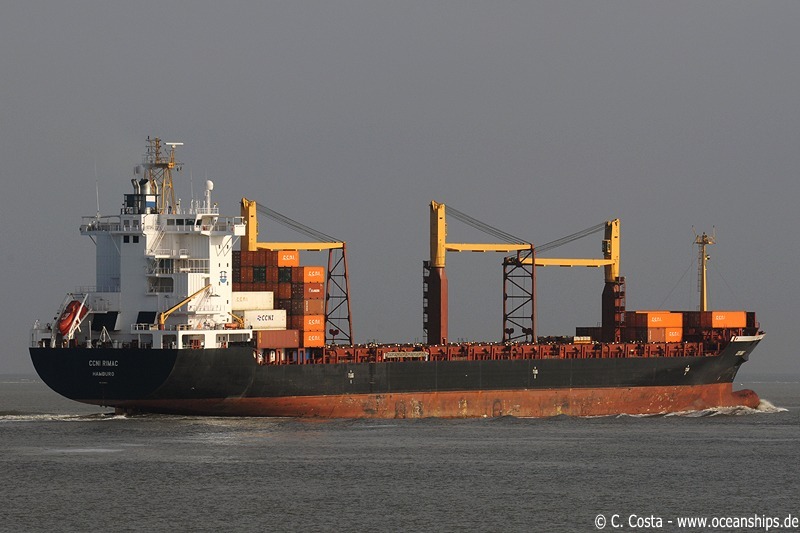 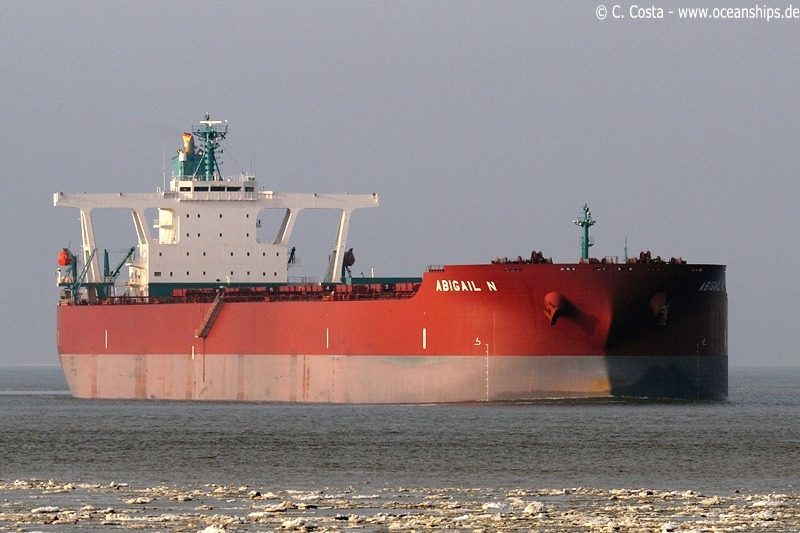 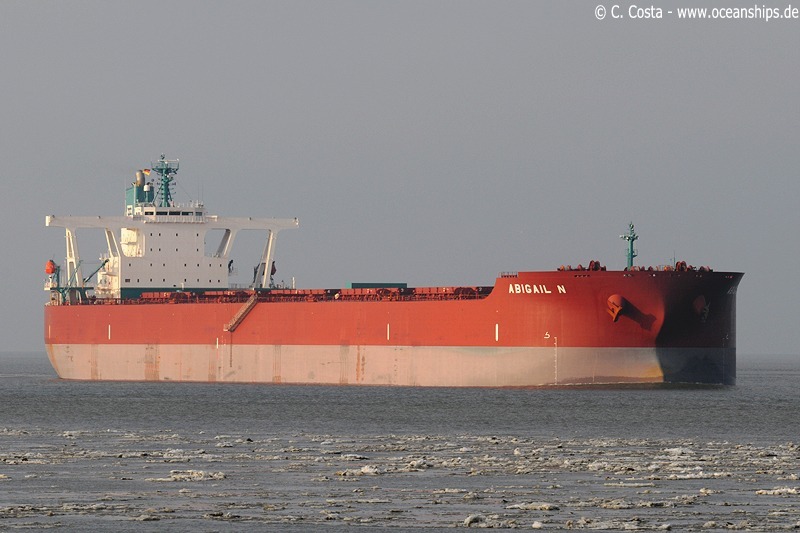 Very large ore carrier Abigail N is passing Cuxhaven on February 23rd, 2010 and is bound for Hansaport, Hamburg. 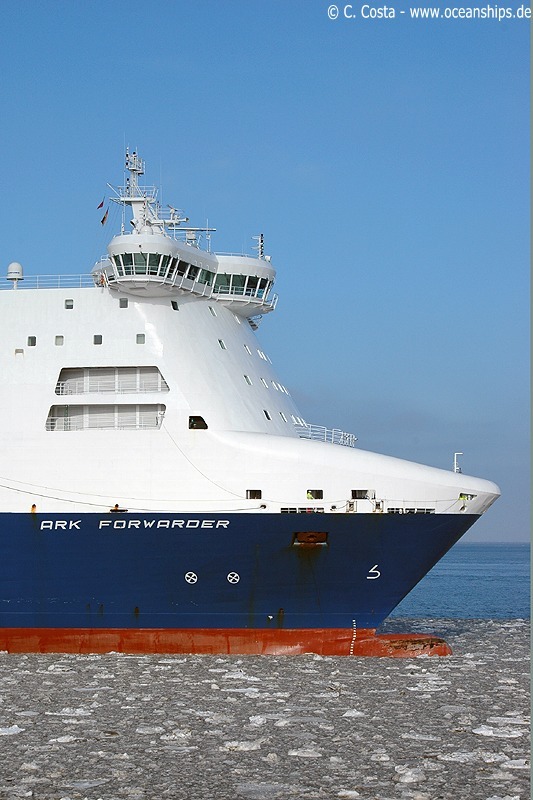 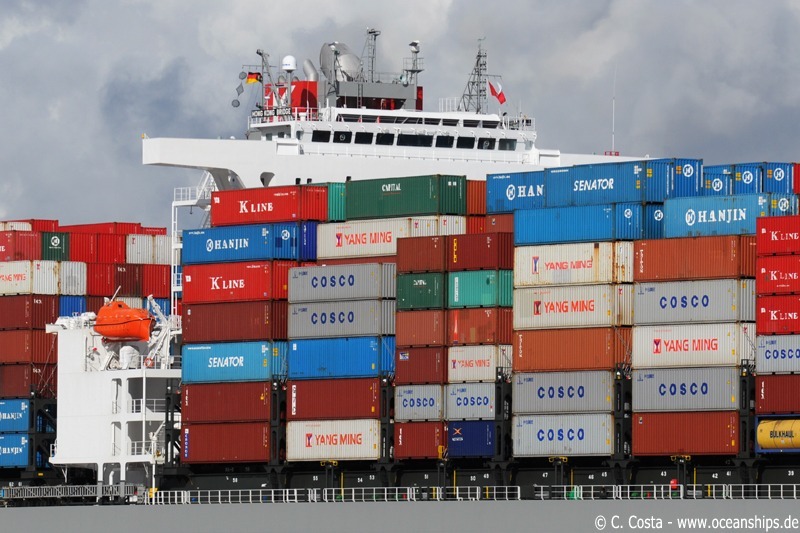 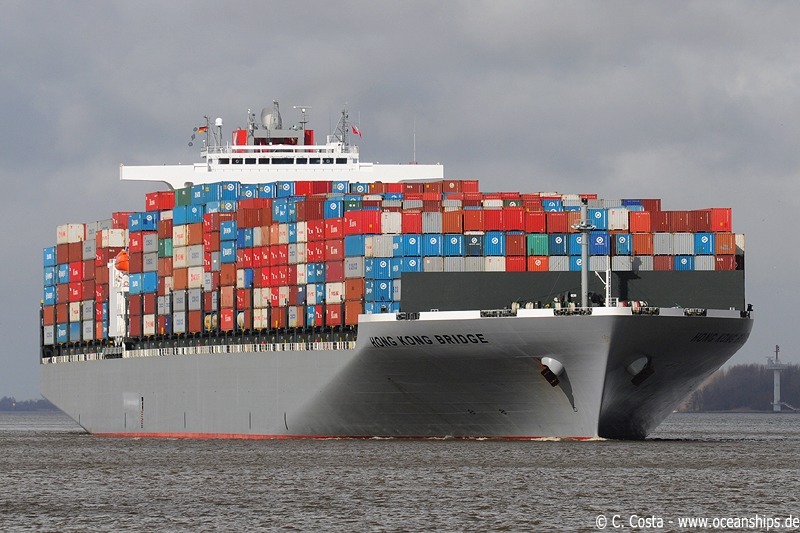 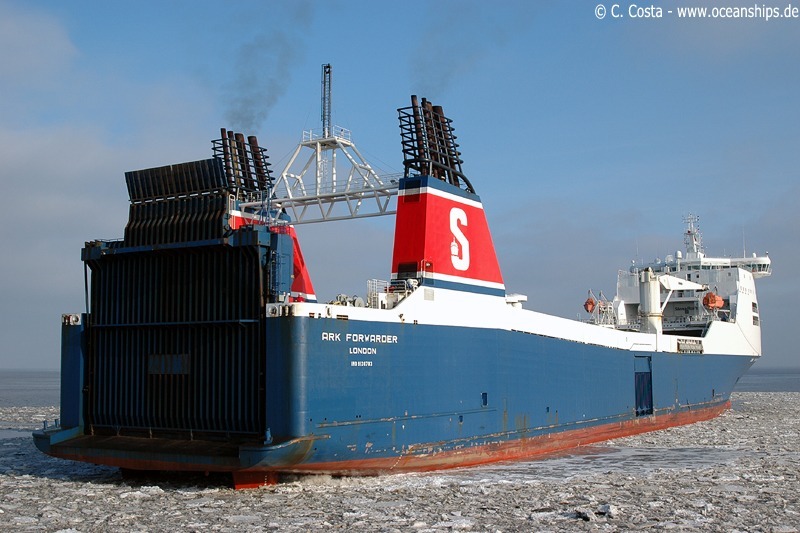 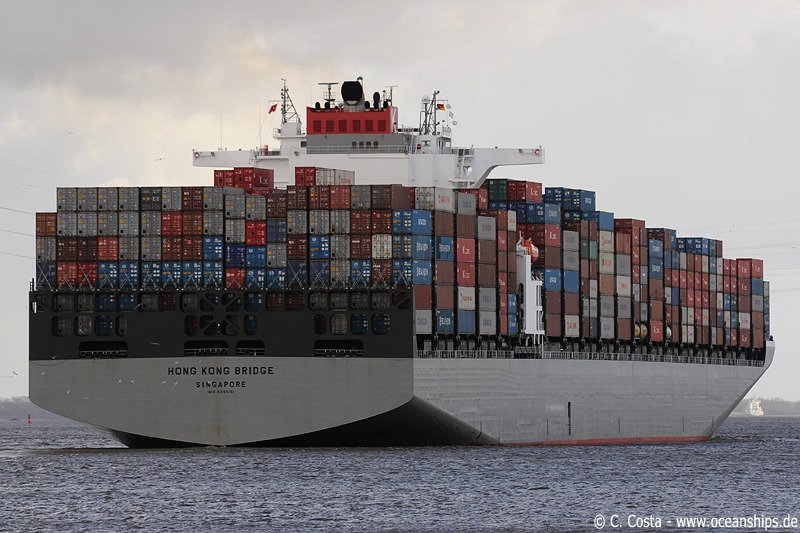 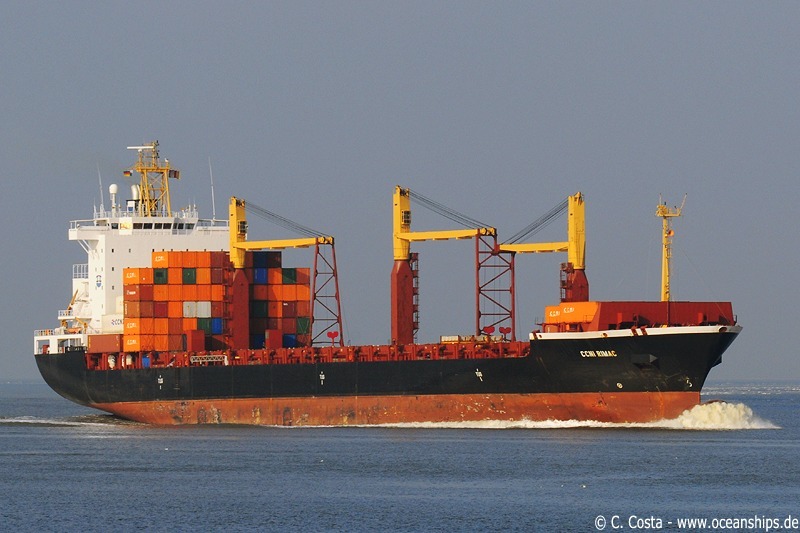 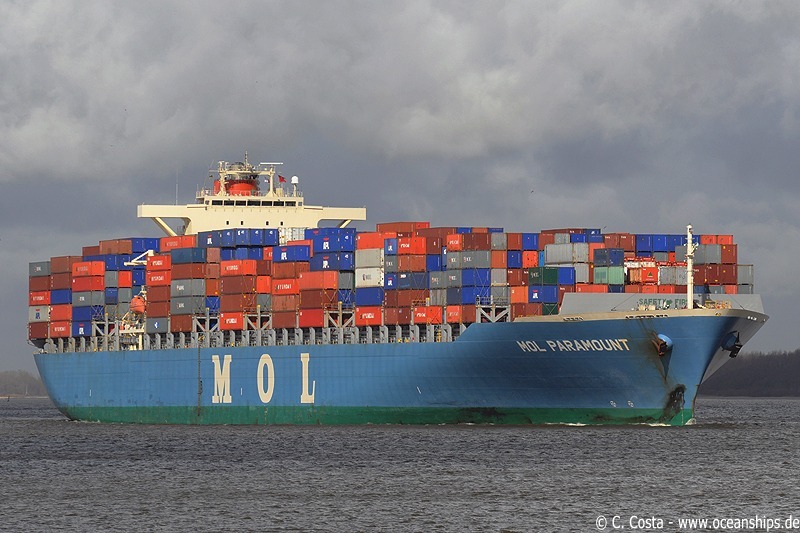 This is the very first call of this vessel to Hamburg. 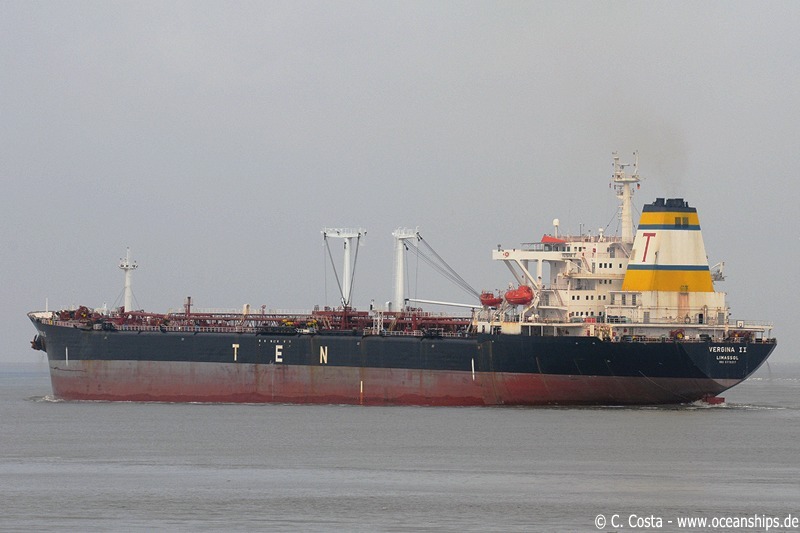 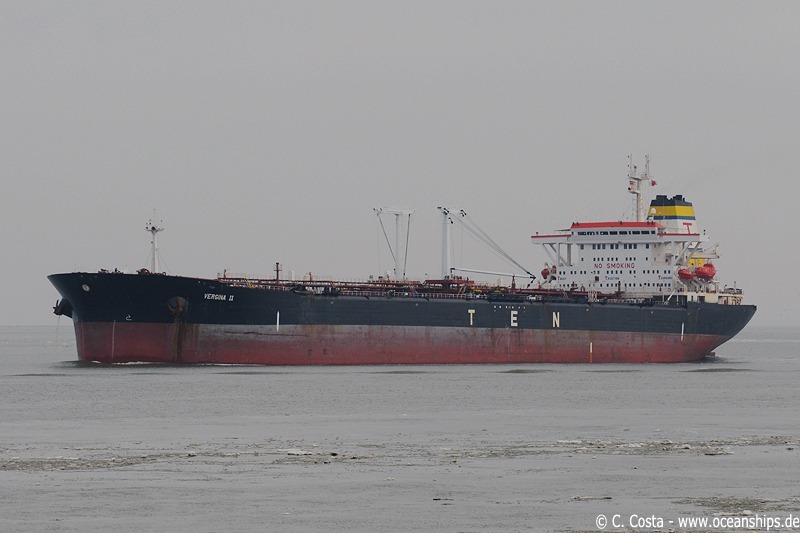 Crude oil tanker Vergina II is passing Cuxhaven on February 23rd, 2010. 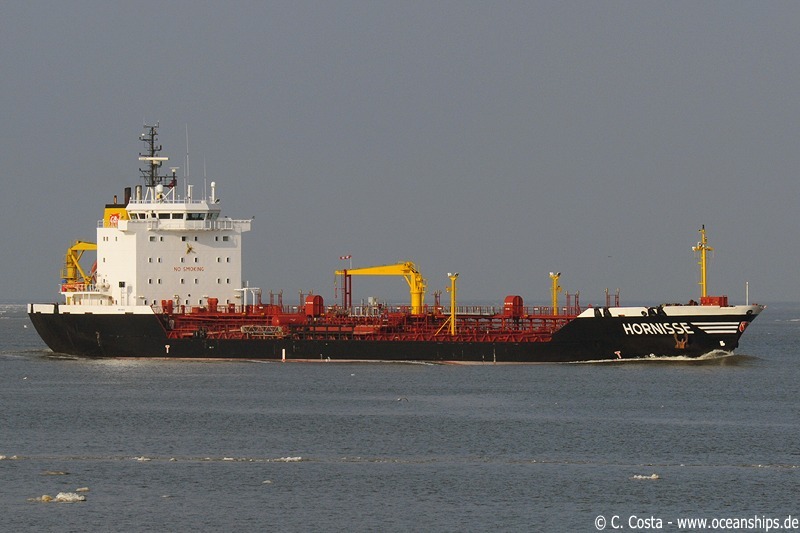 Chemical tanker Hornisse is passing Cuxhaven on February 23rd, 2010. 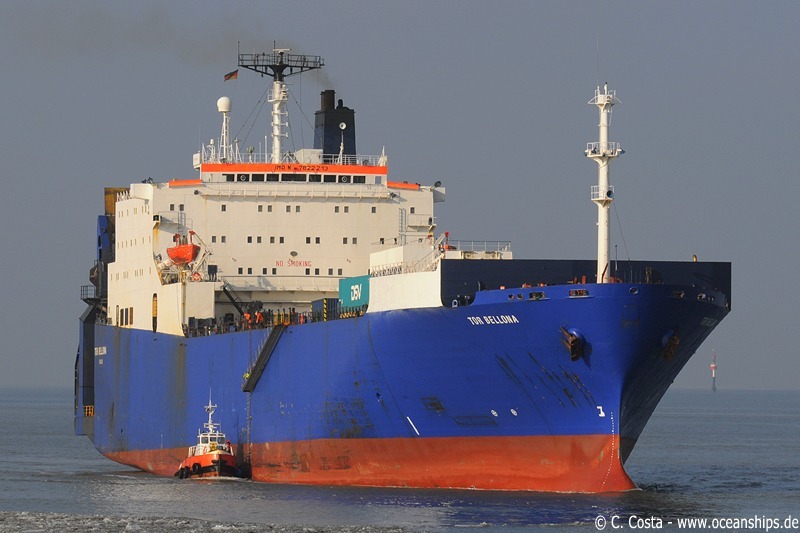 CCNI Rimac is passing Cuxhaven on February 23rd, 2010.